Bo Jackson and Deion Sanders both played Major League Baseball and NFL Football simultaneously. Charlie Ward won the Heisman Trophy and then played point guard for the New York Knicks. Danny Ainge played baseball for the Toronto Blue Jays before beginning his NBA career with the Boston Celtics. 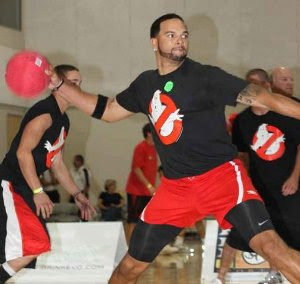 DWill and Kyle Korver recently co-hosted a charity doge ball tournament to raise money for The Christmas Box House shelters for children. I give them full props for doing this and love seeing NBA players giving back to the community in more than just a “take my picture with this little kid for some good PR, and then get me the heck outta’ here” kind of way. Williams and Korver both do a lot of good things for charity and seem committed to being good citizens in addition to good basketball players. Nice when you don’t have to choose one or the other. 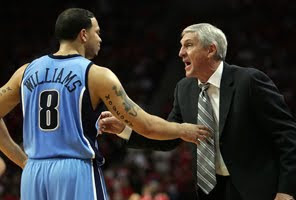 I love D-Will! Can't wait to see him dominate the league this season.